Teri: A little bird told me that Sparrow Hawk gets it’s grapes from Cakebread, intriguing me further to try this bottle knowing of its great start. 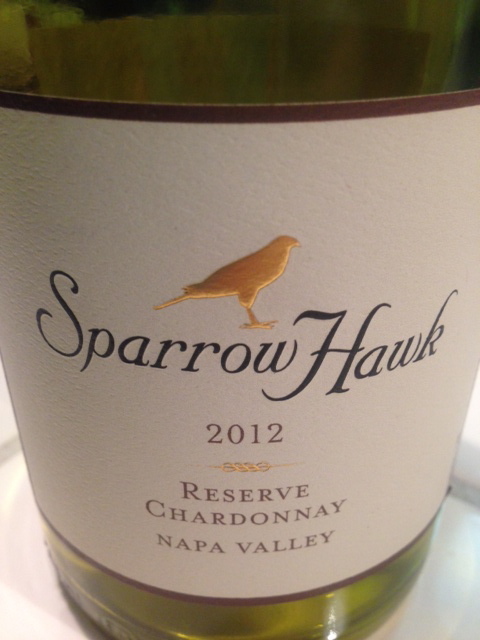 Sparrow Hawk make a pleasant Chardonnay that leans more towards the dryer side than a full buttery white. The smooth lemon, citrus, and honey on the taste complement its beautiful bouquet of green apple and hibiscus. I found this overall complex with a long finish and give it 90 points complexity and depth of flavor. This entry was posted in White and tagged 2012, California, Chardonnay, Napa Valley, White by aaronandteri. Bookmark the permalink.